The dal-tile 18 in. x 18 in. 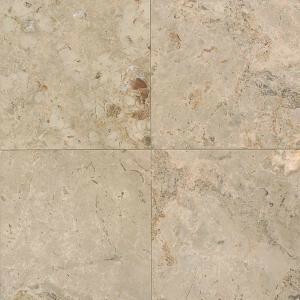 Napolina natural stone floor and wall tile is unglazed, limestone tile that is smooth to the touch. It has a medium sheen and a moderate variation in tone. Designed for use in residential settings, this frost-resistant tile is suitable for indoor and outdoor applications. It comes in a muted beige color that complements many types of decor. Buy online Daltile Napolina 18 in. x 18 in. Natural Stone Floor and Wall Tile (15.75 sq. ft. / case) L75018181U, leave review and share Your friends.